Saving lives, one pet at a time. We are in desperate need of individuals and families to provide foster homes for the animals we rescue. A foster home is a place to temporarily care for an animal until it can be placed (adopted) into a forever-home. If you can foster a pet, please visit our foster page. 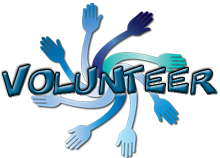 We need volunteers to participate in our fund raising events and public awareness campaigns. We welcome volunteers but they must be at least 16 years old to work with the animals.